Step inside a TARDIS and travel to prehistoric New Zealand and the landscape looked very different. Moa roamed the forests, Haast’s Eagle soared in the sky and you would have met a very tall, heavy and potentially grumpy swan. 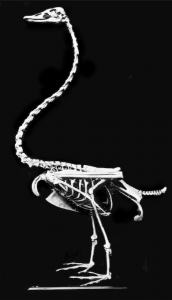 This is the Poūwa – New Zealand’s newest species discovered by my team (published today in Proceedings B) including collaborators from the Otago Palaeogenetics Laboratory (University of Otago), Canterbury Museum and the Museum of New Zealand Te Papa Tongarewa. But how did we get to this point? New Zealand represents the ideal location to test for the human impacts on Anatids. These islands were settled very late in human history, around the late 13th Century AD, during a period of relatively stable climate. The black swan (Cygnus atratus) is an iconic Australasian bird. 18th Century European explorers were amazed to discover this species as, until their first voyages to Australia, all swans were assumed to be white, almost by definition. By contrast, when Europeans arrived in New Zealand there were no black swans. By the 1860s, naturalisation societies had introduced Australian black swans from Victoria into New Zealand. 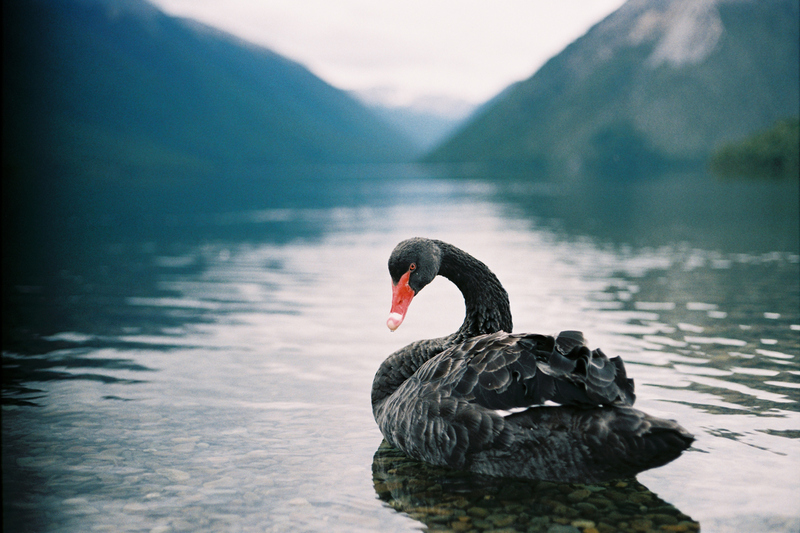 Today, black swans are found throughout New Zealand and the Chatham Islands, with a population size of around 50,000. 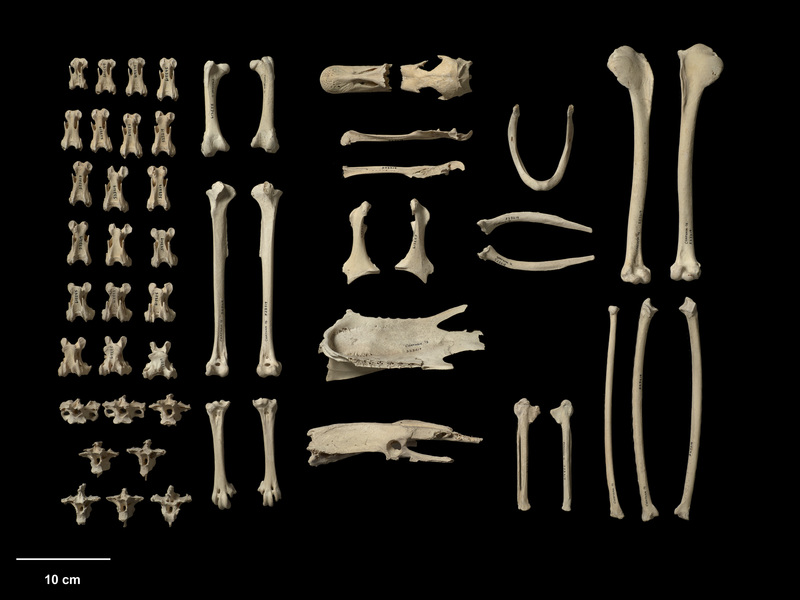 At the same time as these introductions, black swan bones were being found in New Zealand’s fossil and archaeological deposits, leading scientists to conclude that the Australian black swan formerly inhabited New Zealand but had been hunted to extinction shortly after the arrival of humans – indeed, until recently, this was still the prevailing view. However, as we know from ancient DNA research conducted by our group on penguins and sea lions, the story is not so simple. 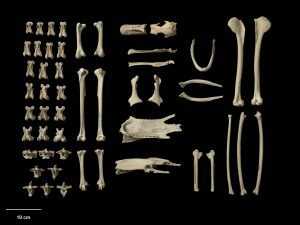 We scoured New Zealand museum collections for prehistoric black swan remains from mainland New Zealand and the Chatham Islands, and modern black swans from across Australasia. Our genetic analyses showed that prehistoric swans from New Zealand and the Chatham Islands formed one lineage, while modern black swans from throughout Australasia were a different lineage. We had seen this genetic pattern before with our research on biological turnover events in penguins and sea lions. Our data showed that a unique lineage of black swan in New Zealand and the Chatham Islands was hunted to extinction and replaced by the Australian lineage. The genetic divergence between the Australian and New Zealand lineages suggested a separation of around one to two million years. Could these different lineages be different species given the divergence time? 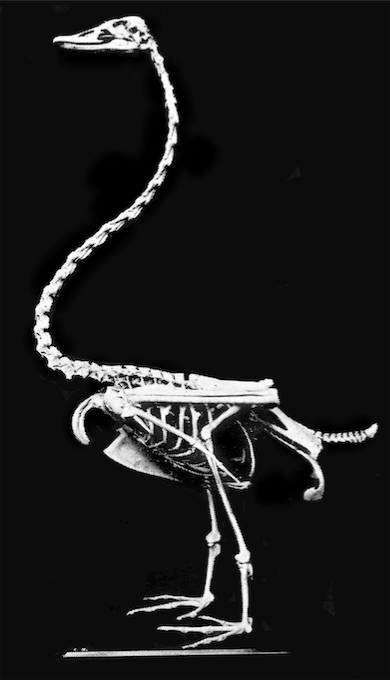 Weeks of measuring of modern and prehistoric black swan skeletons to capture the shape of the skeleton, months of statistical analysis, and New Zealand has its own unique species of black swan (Cygnus sumnerensis) – named after Sumner in Christchurch, where the first remains of this species were discovered. We’ve called our new species Poūwa, based on a Chatham Island Moriori legend about a large bird that inhabited the lagoon and whose bones were common in the surrounding sand dunes. As in all good trans-Tasman rivalries, we’ve claimed one species back from the Australians. Sadly, the Poūwa did not survive the arrival of humans. The Poūwa was truly unique. It was larger and heavier than its Australian cousin – more like an All Blacks rugby player than a soccer player. Poūwa weighed up to 10 kg (as opposed to the 6 kg Australian black swan), had very elongated legs, and proportionally shorter wings. Such proportional anomalies are common in birds from island ecosystems lacking terrestrial mammals. Prior to human arrival, New Zealand lacked predatory mammals, being truly the land of the birds. The Poūwa thus was probably on the evolutionary pathway to flightlessness – a very tall and heavy bird indeed. The extinct Poūwa may also raise interesting questions for conservation and ecological restoration efforts. The Australian swan is not really a ‘replicate’ of the original Poūwa, so is this Aussie newcomer a pest, or something to be protected? Perhaps, one day, de-extinction science will allow us to bring back New Zealand’s unique Poūwa. Image: A black swan (not Poūwa) floats on Lake Rotoiti.